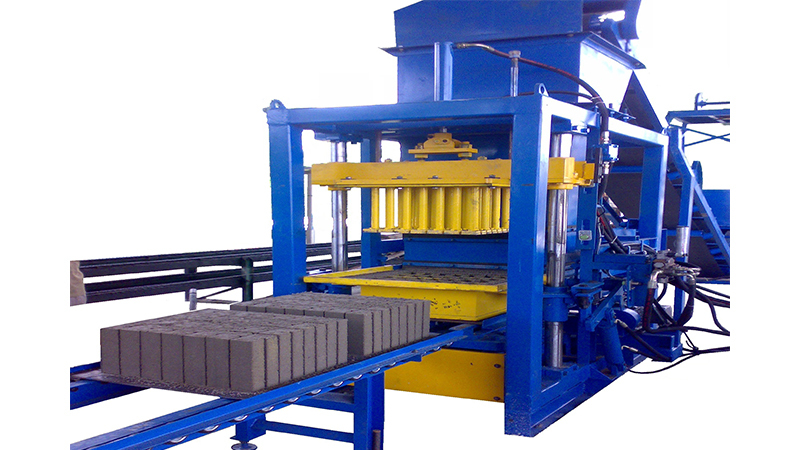 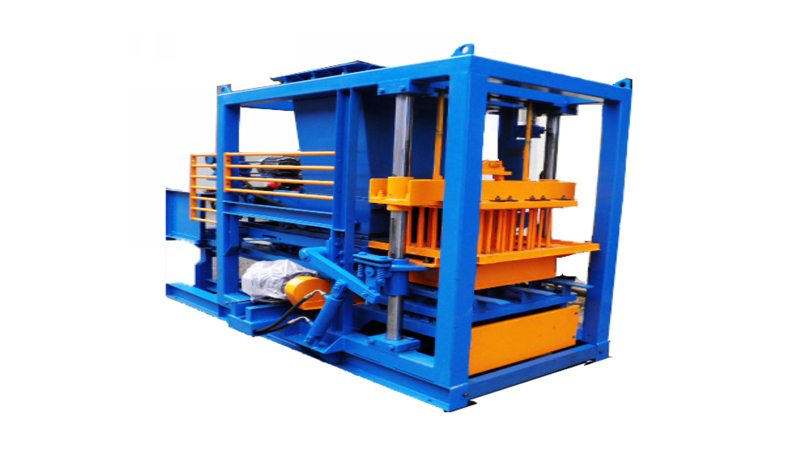 This concrete block machine is hydraulically operated and uses vibration and hydraulic compaction to form cement bricks, sand bricks, concrete blocks, hollow blocks and interlocking pavers. 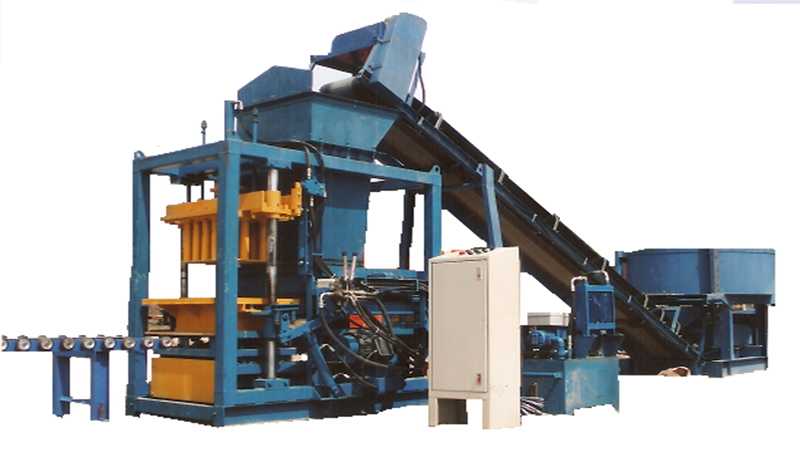 It is completed with sand hopper, gravel hopper, belt conveyors, pan mixer, automatic pallet feeder, hydraulic control unit, hydraulic operation handles, roller conveyor and trolleys. 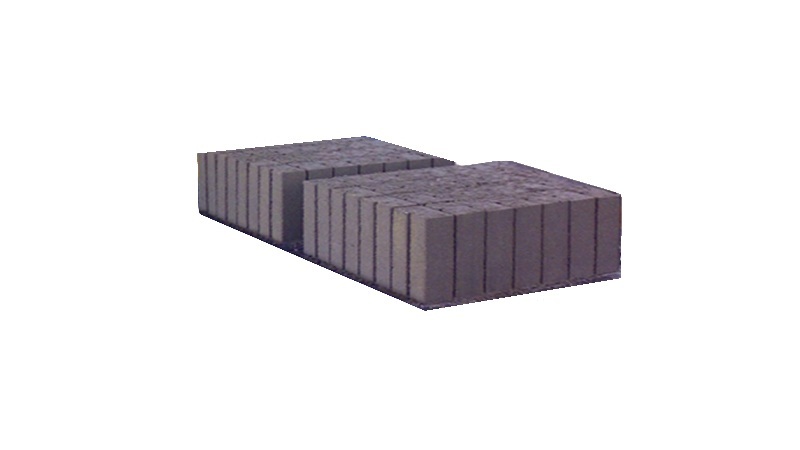 Mould for various sizes and designs of bricks / block can be supplied according to customers specifications and requirements.